Introduction: This cross-sectional study was aimed to assess the available restorative space inside a complete denture for two-implant-supported mandibular overdenture at the lateral incisor tooth position, which aids in identifying the corresponding attachment system for the required restorative space for treating patients with implant-supported mandibular overdenture. Materials and Methods: Intaglio surfaces of fifty lower dentures duplicated with lab putty and putty cast were made. Polished surface and occlusal surface were duplicated with lab putty to obtain a putty index of the denture. The space from the crest of the ridge to the lingual surface of the denture at the right and left mandibular implant positions in the putty index was measured using periodontal probe. To measure the soft-tissue thickness, direct bone sounding was done at the right and left mandibular lateral implant positions. Results: The outcome variables were analyzed using Student's t-test. 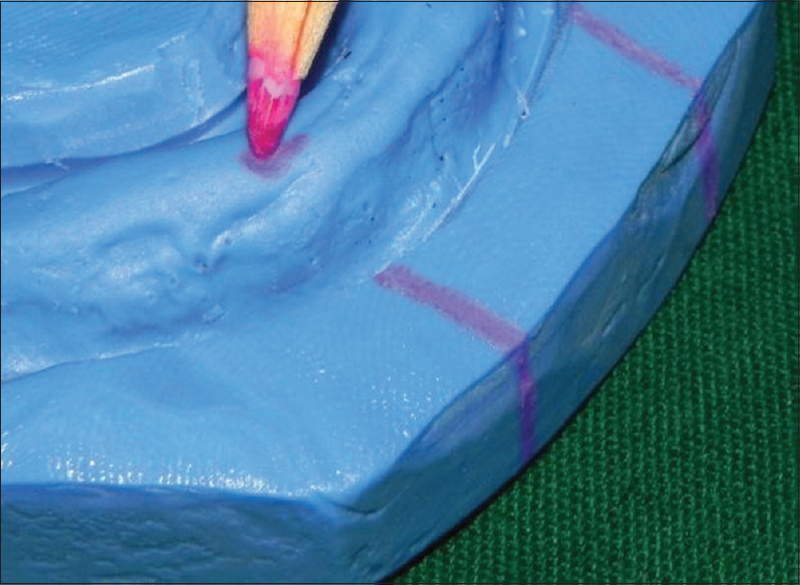 The overall average restorative space was found to be 7.64 mm with soft-tissue thickness added 9.64 mm. Hence, a ball or locator attachment systems are suitable for left and right lateral implant position was applicable. Conclusion: The ultimate choice of attachment type should be based on restorative space for two-implant mandibular overdenture. The clinical performance of the attachments regarding the functional loads on the implant and surrounding tissues, patient's satisfaction with treatment, technical problems, maintenance service, and attachment cost. Complete loss of teeth leads to impairment of oral functions and esthetics, and changes in physiognomy lead to psychological discomfort to the patients. There are two difficulties for patients who are wearing complete dentures. Loss of teeth at an advanced age has a bad prognosis for learning new muscular patterns. Edentulous patients wearing dentures for many years gradually lose their ability to cope with complete dentures as their age increases and not comfortable. Hence, the use of two implants to retain the denture significantly improves the prognosis of mandibular edentulism. The advantage of mandibular implant-supported overdenture is a minimal anterior bone loss, improved retention, stability and support, and speech and chewing efficiency. Adequate restorative space is important to provide the bulk of acrylic to resist fracture, space to set denture teeth without modifications and room for attachment, soft tissue, and hygiene. The space requirement for the prosthetic component is essential for selection of an attachment system ranging from locators to bar attachments with clips. For two-implant-retained mandibular overdenture, placement of implants in the lateral incisor area offers a mechanical advantage, providing better stability for overdenture. The results of this study will help us in establishing the choices of attachment systems in general, based on the available restorative space. It will enable the clinician to determine the available restorative space before the implant or attachment is placed in an easier and more affordable manner. Critical evaluation of available restorative space during the diagnostic phase of implant overdenture therapy is necessary. The aim and objective of this study were to assess the available restorative space for two-implant-supported overdenture according to age and gender and at right and left lateral incisor position to find the appropriate attachment system. Determination of available restorative space for overdenture attachments before implant placement is necessary for diagnosis and treatment planning for two-implant mandibular overdenture treatment in edentulous patients. The study design was done in completely edentulous patients who had Class 1 ridge relation with no systemic complications. Patients with Class 2 and Class 3 ridge relation and with systemic complications were excluded from the study. This study helped to find the average restorative space in male and female patients from 60 to 80 years of age in South Indian population. Hence, the choice of attachment systems would be easier. This study was done as a thesis after IRB approval is obtained. Patients' existing mandibular complete denture was evaluated with respect to the optimal vertical dimension of occlusion, physiologic contour, maxilla–mandibular relationship, and esthetics. If the criteria are acceptable, proceed to the next step. If the criteria for the patients' existing complete denture are inappropriate, fabricate a new or interim prosthesis before proceeding. Alternatively, a trial denture tooth arrangement on a record base can be fabricated and used in the following steps. 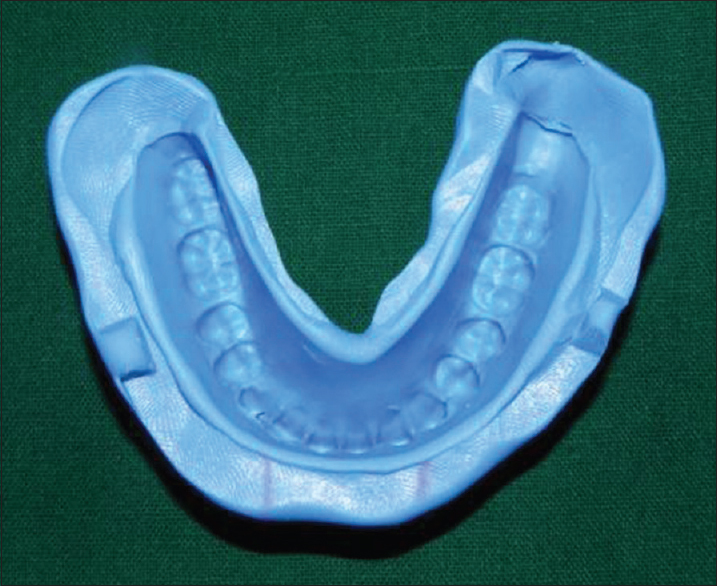 The mandibular putty cast was fabricated using the existing mandibular complete denture. Adapt a mixture of silicone putty (UNSIL-lab Putty addition curing silicone) into the intaglio surface of the denture and insert onto a mound of putty to make a silicone cast. After the silicone material is completely set, remove the denture to examine the positive impression of the silicone putty cast. Trim away any excess putty silicone material with a sharp blade [Figure 1]. Existing complete denture was reseated over the trimmed mandibular resilient putty cast [Figure 2]. Multiple notch grooves are made at the peripheral of the putty cast to serve as references with a sharp blade. Remove the denture and lubricate the putty cast with petroleum jelly including the border areas and notches. Reseat the denture. Mix laboratory silicone Putty (UNSIL-lab Putty addition curing silicone) and adapt it over the denture to fabricate a silicone mold of the occlusal and polished surfaces of the denture [Figure 3]. After the material is completely set, separate the silicone mold from the denture/putty cast and remove the denture from the silicone mold [Figure 4]. Cut the silicone mold cross-sectional with a sharp blade at the right and left lateral incisor tooth position. Space limitation was determined using William's periodontal probe by holding it to 90° at the desired location at the mandibular implant positions [Figure 5]. To evaluate the soft-tissue thickness, direct bone sounding was done. With the existing lower denture, right and left lateral incisor positions were transferred to the land area of the putty cast with the help of a pencil [Figure 6]a. Remove the existing denture and make a self-cure denture base on the putty cast, after the self-cured denture base is set it is trimmed and polished [Figure 6]b. Now transfer the markings of the lower right and left lateral incisor position from the land area of the putty cast and to the self-cure denture base [Figure 7]. Make two holes at the corresponding marking respectively in the denture base. Place the self-cure denture base in the patient's mouth. Under local anesthesia, place the reamer with stopper in the respective holes in the denture base and measure the thickness of the soft tissue at the right and left lateral positions and measure on a millimeter scale. Now add the millimeter reading with the measurement readings obtained from the periodontal probe. The mean restorative space at the right and left lateral position for male patients was 7.85 and 7.25 mm, respectively. The mean restorative space at the right and left lateral position for female patients was 7.62 and 7.83 mm, respectively. The mean soft-tissue thickness of the patients was 2.002 mm, standard deviation (SD) 0.20052. The restorative space at the right lateral position around 28% of the patients has 8 mm of space. The restorative space at the left lateral position around 28% of the patients has 8 mm of space followed by 20% of patients have 9 mm of space and 16% of the population have 6 and 7 mm, respectively. The average age of patients was 67.08 years, with female patients showing lower mean age at 66.33 years and 67.77 years in male patients. The average restorative space at the right lateral position is 7.56 mm, with SD 1.474, where males have more space of 7.85 mm, SD 1.463, and then females, 7.25 mm with SD 1.485. The average restorative space at left lateral incisor is 7.72 mm with SD 1.487, with males having less space of 7.62 mm with SD 1.446 than that of females at 7.83 mm with SD 1.586. The Student's t-test between right lateral restorative space and gender shows t = 1.460 and P = 0.151 where there is a statistical difference between two groups. The Student's t-test statistics between left lateral restorative space and gender shows t = −0.519 and P = 0.606 where there is a statistical difference between the two groups. The Student's t-test variance between the right and left restorative space shows t = 0.546 and P = 0.586 where there is a statistical difference between two groups of the right and left restorative space [Table 1], [Table 2], [Table 3], [Table 4], [Table 5], [Table 6] and [Figure 1], [Figure 2], [Figure 3], [Figure 4], [Figure 5], [Figure 6]. 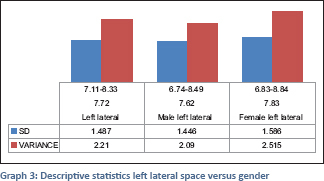 [Table 1] shows that mean restorative space at the right and left lateral position for male patients was 7.85 and 7.25 mm, respectively. The mean restorative space at the right and left lateral position for female patients was 7.62 mm and 7.83, respectively. [Graph 1] mean restorative space. [Table 2] shows that mean soft-tissue thickness of the patients was 2.002 mm, SD 0.20052. 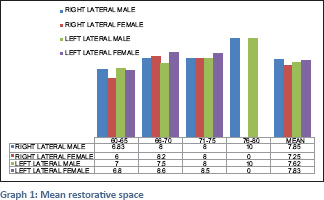 [Table 3] shows that the restorative space at the right lateral position around 28% of the patients was 8 mm. 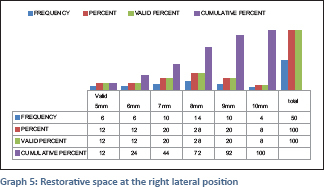 [Table 4] shows that the restorative space at the left lateral position around 28% of the patients has 8 mm followed by 20% of patients have 9 mm of space and 16% of population have 6 and 7 mm, respectively. 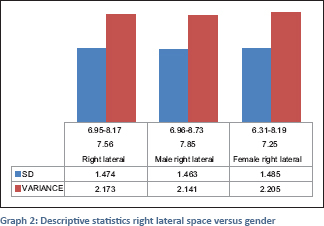 [Graph 2] and [Graph 3] descriptive statistics of right lateral and left lateral space versus gender. 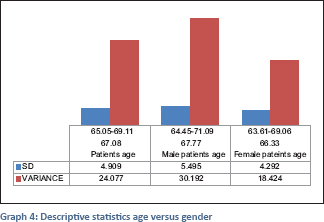 [Table 5] shows the average of patients' age (67.08 years), with lower mean age at 66.33 years in female patients and 67.77 years in male patients. [Graph 4] shows descriptive statistics between age versus gender. [Table 6] shows the average restorative space at the right lateral position is 7.56 mm, SD 1.474 where males have more space of 7.85 mm, SD 1.463 than females, 7.25 mm, SD 1.485. [Graph 5] and [Graph 6] shows restorative space between right lateral and left lateral. The determination of space available between the jaws is required during the treatment planning phase for an implant-supported overdenture. The more predictable implant overdenture attachment selection is important for the prognosis after the treatment. The technique used in this study is a putty index of the patients' existing mandibular complete denture which is easy and cost-effective for determining the restorative space. 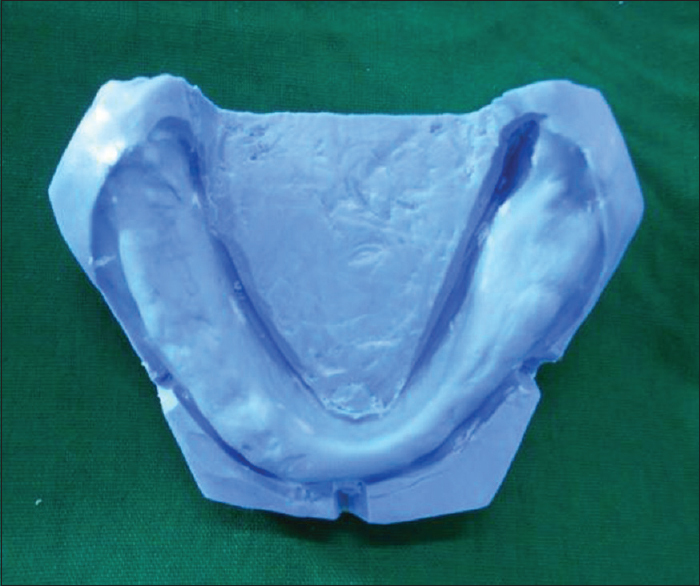 McCartney reported the use of silicone putty cast as a representation of the intaglio surface of the existing dentures and not an exact duplication of alveolar ridge anatomy, and the approximation is adequate for evaluation of arch form, jaw relationship, and interarch space. This does not provide a clear three-dimensional view of the available restorative space unless the selected attachment type is tried in the space within the putty index at the established site. In this study, direct bone sounding was done in order to find the soft-tissue thickness at the right and left mandibular implant positions. Moreover, a periodontal probe and reamer were used to calibrate the vertical restorative space available. Ahuja and Cagna found that the mandibular overdenture requires >12 mm of space for bar attachment and 8 mm for O-ring attachment. According to Taylor et al. study, placement of implants in the lateral incisor area rather canine offers mechanical advantage providing better stability for mandibular implant overdenture. Implant positions were decided in the lateral incisor tooth position in the existing complete denture. Hence, the study was designed to identify the restorative space using a putty index. 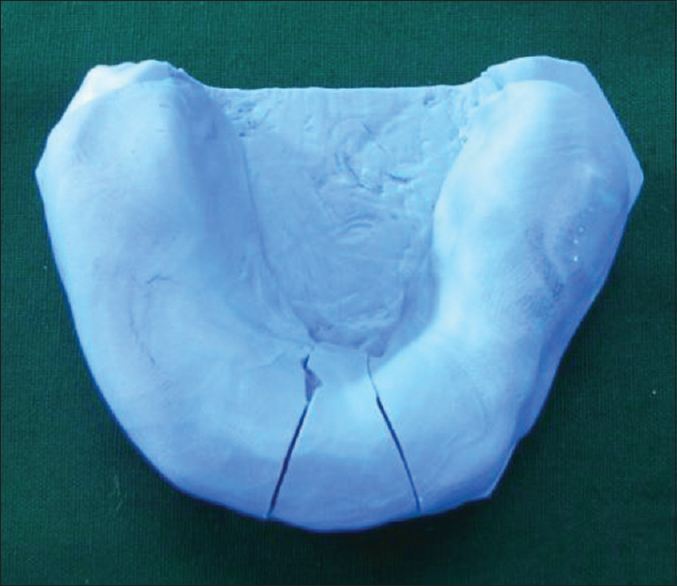 The overall average restorative space was found to be 7.64 mm with soft-tissue thickness added 9.64 mm. The restorative space available on an average was between 9 and 10 mm, which is best suited for ball and locator attachment. The bar and clip implant attachment systems were not possible in most of the cases. Bhargava et al. stated that about 53% of patients sufficed for two or four implants with the ball or locator attachment due to limited interocclusal space. Overdenture status of the prosthesis and its benefits to the patient depends solely on the continued retention of the underlying abutments or attachment systems. As per this study, a space of is available 7.64 mm with soft-tissue thickness added 9.64 mm; hence, a ball or locator attachment systems are suitable for the left and right lateral position. The ultimate choice of attachment type should be based on restorative space for two-implant-supported mandibular overdenture. 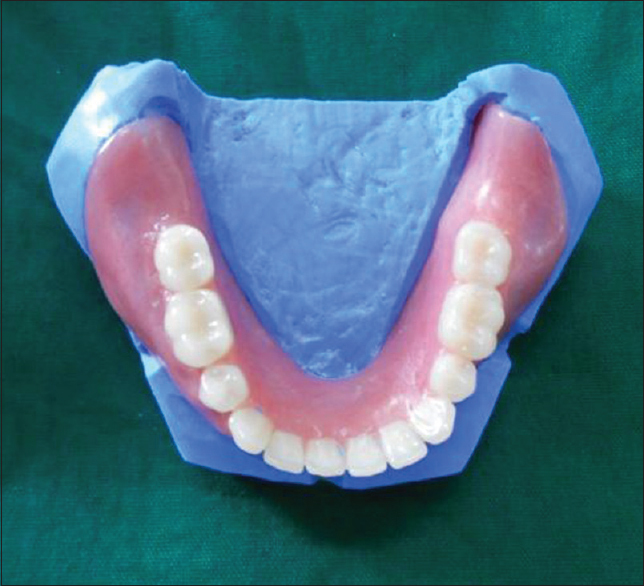 Defining available restorative space for two-implant mandibular overdenture treatment is important in treatment planning. For implant overdenture patients, this space must accommodate a denture base of sufficient dimensions, appropriately positioned denture teeth, and implant attachment systems. The restorative space available was 7.64 with soft-tissue thickness added 9.64 with this space for the study population the most suitable attachment systems are 2.5 mm ball Gold– 8.6 mm space, 2.5 mm Ti-8.6 mm space, 2.5 mm Sphero flex ball-8.25 mm space, 1.8 mm Sphero flex ball-7.5 mm space, Locator-8.17 mm space rather than Magnets Regular-10.5 mm space, ERA-10 mm space, ZAAG standard-15 mm space, ZAAG short-14 mm space. Mericske-Stern R. Overdentures with roots or implants for elderly patients: A comparison. J Prosthet Dent 1994;72:543-50. Highton R, Caputo AA, Pezzoli M, Matyas J. Retentive characteristics of different magnetic systems for dental applications. J Prosthet Dent 1986;56:104-6. Chaimattayompol N, Arbree NS. Assessing the space limitation inside a complete denture for implant attachments. J Prosthet Dent 2003;89:82-5. Andreiotelli M, Att W, Strub JR. Prosthodontic complications with implant overdentures: A Systematic literature review. Int J Prosthodont 2010;23:185-193. McCartney JW, Thompson GA, Goheen KL. Silicone putty diagnostic casts for edentulous patients wearing complete dentures. J Prosthet Dent 1994;71:220-1. Ahuja S, Cagna DR. 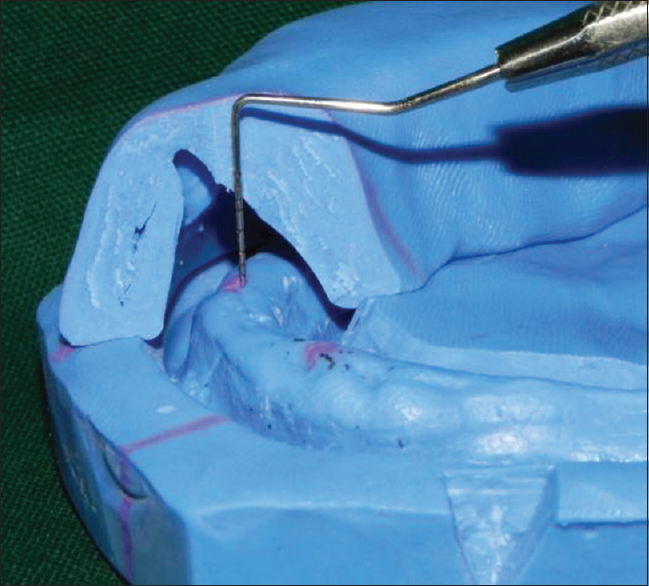 Defining available restorative space for implant overdentures. J Prosthet Dent 2010;104:133-6. Taylor TD. Indications and treatment planning for mandibular implant overdentures. In: Feine JS, Carlsson GE (Eds.). Implant Overdentures as the Standard of Care for Edentulous Patients. Quintessence, Chicago; 2003. p. 71-81. Bhargava A, Sehgal M, Gupta S, Mehra P. Classification system on the selection of number of implants and superstructure design on the basis available vertical restorative space and interforaminal distance for implant supported mandibular overdenture. J Indian Prosthodont Soc 2016;16:131-5. Dhir RC, Clinical assessment of the overdenture therapy. J Indian Prosthodont Soc 2005;5:132-4.